A recent blog post on using EXCEL for Project Management caused quite a stir in a LinkedIn group. Many people agreed with the points I was trying to raise, but a few disagreed. EXCEL has a use for many things, but not for managing a project schedule or a critical path. My point was really that as a professional project manager, the use of appropriate tools is required. What the post did raise however was several common issues. MS Project Training is vital – I have previously written about this topic. It is Difficult to Communicate with MS Project. It is. You can do it – but it takes a little preparation. 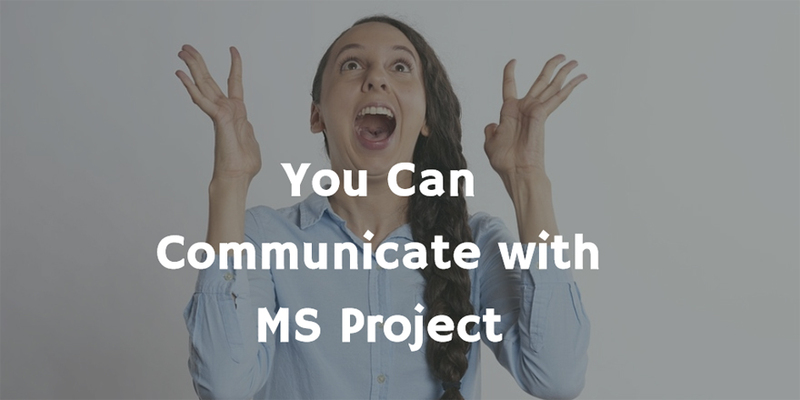 This blog will suggest ways of improving communication with MS Project. Microsoft have not really helped themselves here, with the removal of the “Save as HTML” from Project 2010 onwards, and the reworking of the REPORTS feature. I believe that Microsoft are trying to encourage use of their SharePoint, Project Online and Project Server solutions. Regardless, I have to admit – standalone MS Project is not ideal for communication, however the following tips should help. 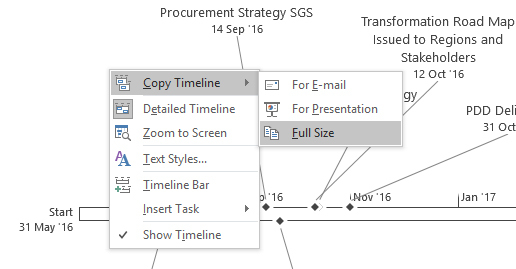 Print the Gantt chart with the legend turned off. There really is no need to see the legend on every page. Go ‘File’, ‘Print’, ‘Page Setup’, ‘Legend’ tab, and ‘None’. Control how many columns are printed. 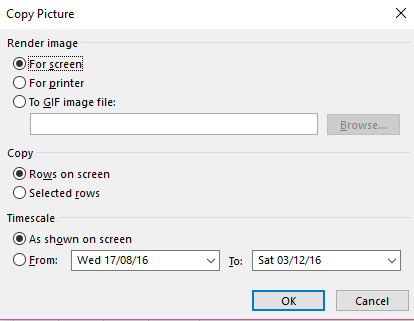 Go ‘File’, ‘Print’, ‘Page Setup’, ‘View’ tab, and select ‘Print first X columns on all pages’. Use this to force the printing of columns even though they are not visible on the screen. Beware this really means “Print at least” – it depends on where you set the vertical divider when you request the print! Don’t print the Gantt Chart! Print tasks only (or use a Report). To print without the Gantt chart, change to the Task Sheet view first to print just the tasks. Go ‘View’, ‘Other Views’, ‘More Views’, and select ‘Task Sheet’. Reduce what you print by filtering out the non-essential items first. Doing this in conjunction with the tips above can save a lot of paper, and allow you to only communicate the essential information. 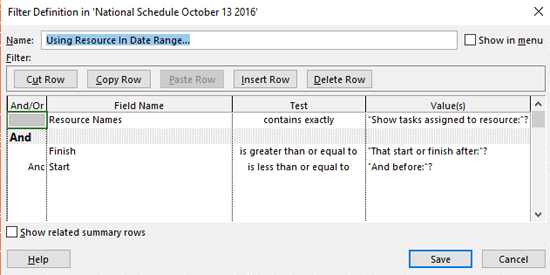 Filter for resources – this filter only shows tasks assigned to a particular resource. Ideal to save paper, ideal to discuss “This is what you have committed to deliver on the project” and a great way to stop other resources playing project manager when they see the overall plan. Go ‘View’, ‘Filters’, Pull down for ‘Using Resources’ and select the resource that you want to see. Filter between dates – only show the next 4 weeks of activities. Go ‘View’, ‘Filters’, Pull down for ‘Date Range’ and select the date range that you want to see. It is also possible to stack the filters to show tasks in the next 4 weeks and assigned to a particular resource. To do this you will need to set up a new filter. You can examine and learn about the settings for any filter using: ‘Filter’, ‘More Filters’, selecting a filter and then, ‘Edit’ to see how they work. Then set up a ‘New Filter’ (It may be easier to copy an existing filter). Filter at Outline Level – you can collapse the WBS to show a particular workpackage to save printing, but a better way is to insert a new custom text column with a workpackage name, and add this to the filter stack. This will remove the unused workpackage lines from the project schedule. Go ‘Insert new column’ and add a custom text field such as ‘Text1’, add data to the text1 field such as workpackage title, and then add the condition to the text1 field in the filter dialog. Remember to remove the filters after you have done any of these filters, or you will start to lose tasks! Printing or presentation by ID number order may not always be the best method. You can choose to sort your tasks lists to show the expensive, longest, or shortest items at the top rather than from ID 1. The late tasks (sort by Late Start, or Late Finish) – Note: this will require a baseline to have been saved. In this way, you are talking and communicating about the important few tasks, rather than looking at the majority of unimportant tasks. Remember to re-sort by ID number after you have done any sorting! The Reports Tab is undoubtedly where Microsoft want us to create the communication for the project. I feel that although this feature is now very flexible, graphical, and comprehensive, it does not do so much hand-holding as the previous versions of reports. It is difficult to use without a little patience, although it does contain some vital dashboards and templates. If you have forgotten about the ‘Reports’ feature – then go and have a look. I may address a future blog to this particular aspect. Many people do not have access to MS Project, it is not part of the core Office or Office 365 bundles. Sharing the plan with others is therefore not easy. Since Project 2010, the “Save as HTML” option has been removed. This was an ideal method to share the project plans to the team and stakeholders as a web page, especially combined with a few selected images (see below for ‘Copy Picture’). Although you cannot ‘Save As’ a pdf file type, you can use a ‘Print’ to pdf option. Find yourself a “pdf printer” application, and then use this as the default printer. Whilst it is now unacceptable to print 16 pages of A3 paper, it is possible to email/share the pdf file with the information for others to make decisions about printing. Hide completed items. Until the project review you may not need to see the completed tasks. Use a filter to remove completed (100% complete) items. Use the ‘Timeline feature’. 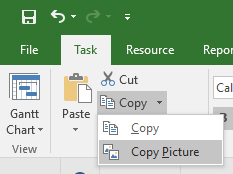 Copy tasks to the timeline by right clicking them to ‘Add to timeline’. Turn the Timeline on with the ‘View’ tab, and check ‘Timeline’, share the Timeline by right clicking on the timeline. Note that you can save these Timeline views and have multiple Timeline views saved. Use Copy Picture. To screen capture rather than a full screen print. Images can be saved for use in WORD reports of PowerPoint presentations. And a final warning: – Don’t email or share your MS Project file with others – (even if you can control who has the master version of the file). This encourages others to edit your file and play ‘Project Manager’. It will be difficult or impossible to see exactly what they have edited – they could change the working days to 5 hours, or added in some holidays – and it will take you forever to find out! MS Project is not a good tool for communicating the project schedule unless you are prepared to put in a little effort. Filtering and Sorting start to put you in control of what you are communicating.